Disclaimer:-Apollo Horticulture products are for professional use and are to be used in a greenhouse environment with proper ventilation only. Use of our products in any other environment such as apartments, community housing, or small enclosed spaces is not recommended and may create a potential fire hazard. By purchasing our products, you agree to the recommended use and release all liability of Apollo Horticulture and respective agents for any misuse of the products. 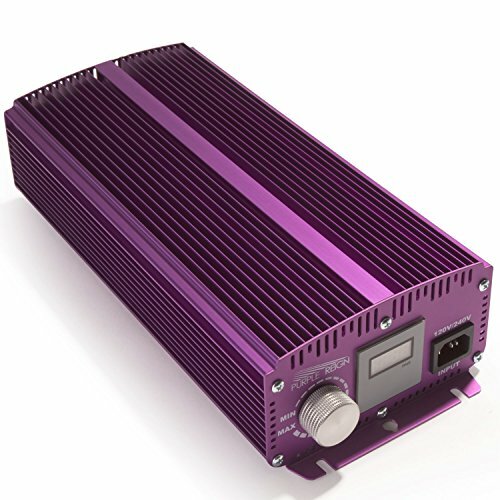 Package Includes: 1 - Purple Reign 400w-1050w Digital Dimmable Ballast Dimensions: 14" x 7.5" x 4" / Weight: 13 lbs. 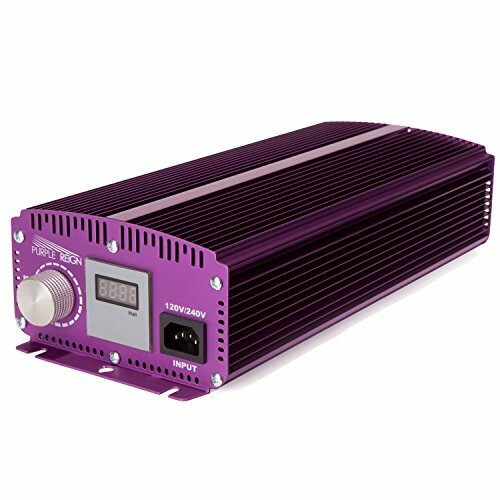 / Voltage: 120V-240V Prime compatibility: Suitable for 400W, 600W and 1000W bulbs as well as HPS and MH lamps - **NOTE: The knob continuously turns. 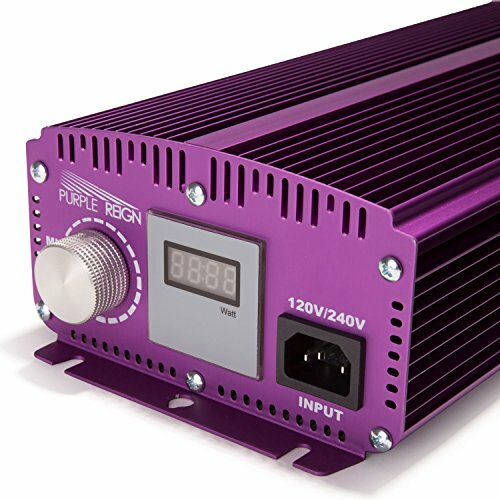 The display will FLASH once you have reached the lowest wattage limit (400W) or the highest wattage limit (1050W). 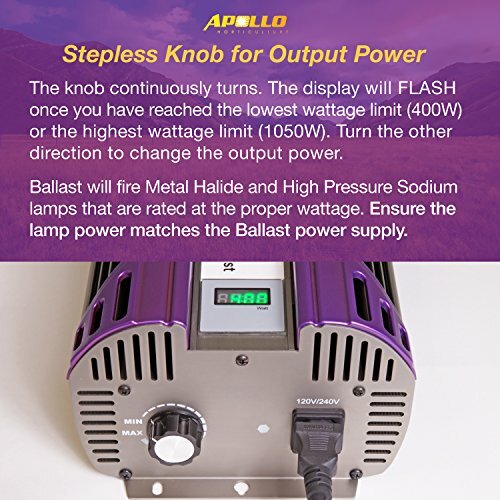 Turn the other direction to change the output power. 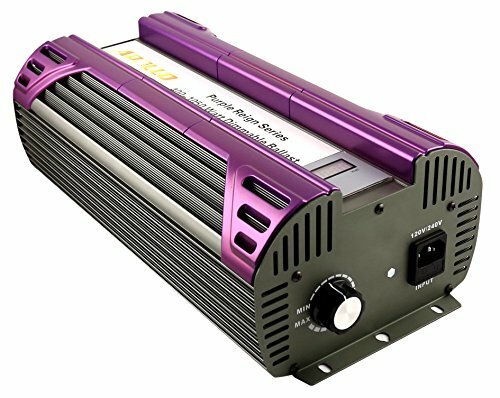 Twelve-level Adjustable Wattage Displayed on Digital Screen: 1050W / 1000W / 900W / 840W / 800W / 750W / 700W / 630W / 600W / 500W / 420W / 400W - Reliable and Cool: Silent yet powerful operation with built in dynamic detection for issue such as overload, voltage fluctuation and lamp EOL TOP CUSTOMER CARE: Your Apollo Horticulture Ballast is backed by our exceptional customer service team and comes standard with the Apollo Horticulture Brand Guarantee and a 3 year manufacture warranty. It is our commitment to be your guiding light in the world of indoor growing, and to be the grow light company that you will want to do business with again and again. If our product does not meet or exceed your expectations, we offer a 30-day money back guarantee hassle free.